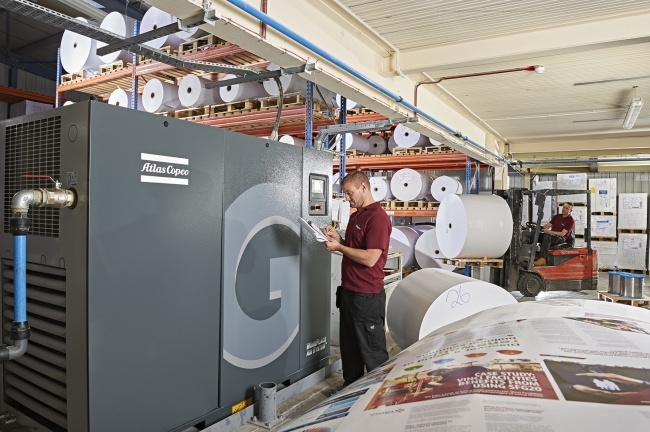 Stef Lievens from Atlas Copco Compressors outlines the key steps for a manufacturer to follow when specifying a compressor – measures that ensure it is optimised in terms of performance and energy-efficiency. • How much flow does the process use? • What pressure is needed within the system? • What air quality is needed? Is there a need for dryer and filters, or an oil-free solution, to ensure a clean and dry air supply? • How many hours per year will the compressor operate? • What is the daily shift pattern? 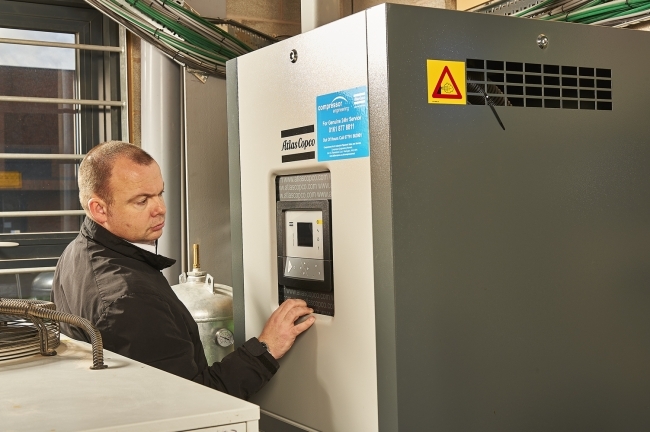 • Should Variable Speed Drive (VSD) technology be considered, to cope with flow demand fluctuation? • Is heat recovery a consideration? • Are there any plans for future expansion? • What size compressor is needed? Of the most popular options available, the most economical and relatively inexpensive type of air compressor is the piston or reciprocating machine. The majority of small-to-medium piston compressors, which commonly range from 0.55 to 15 kW and can be either oil-lubricated or oil-free machines, are available in a number of product variants to match the exact needs of a wide range of end users. They can be supplied either as standard base units, trolley or receiver mounted, or as a complete compressed air station that includes a refrigerant air dryer as well as pre-wired starting and regulation equipment. In rotary screw compressors the length and pitch of the twin rotor screw element, as well as the form of the discharge port, collectively determine the pressure ratio. Beyond that, there are no valves or other mechanical forces that can cause unbalance, which allows a screw compressor to operate at high speeds while combining a large flow rate with small exterior dimensions. Rotary screw compressors typically are used for continuous, workplace and industrial applications and are available in two primary versions, oil-free and oil-injected with options of fixed speed or variable speed drive operation. The operating principle for a vane compressor is the same as for many compressed air expansion motors. The vanes are usually manufactured of special cast alloys and most vane compressors are oil-lubricated. A rotor with radial, movable blade-shaped vanes is eccentrically mounted in a stator housing. When it rotates, the vanes are pressed against the stator walls by centrifugal force. Air is drawn in when the distance between the rotor and stator increases. The air is captured in the pockets between the vanes, which decrease in volume with rotation. The air is discharged when the vanes pass the outlet port.